Last year, my grandfather passed away. My dad, his son, texted me the news the morning of his death. When he later called, our conversation was abrupt. It was the first and only time I’ve heard my father cry. This past Tuesday, my sister reminded me that it had been a year. I was never especially close with my grandfather. I loved him in the way one innately loves family. But I didn’t know him particularly well, and I’m not sure he knew a lot about me either. Much of this was due to distance. He and my grandmother lived in India. Given school schedules and work, I only had the opportunity to see them at most for a few weeks in a year. When we did see each other, the conversations were usually circumscribed to formalities. Stuff about how school was going and whether I was keeping up with tennis and debate. Perhaps because I didn’t see my grandparents often, the fact that it had been a year felt quick, as if not enough time had passed for an anniversary. The same day my grandfather died, I got in a big fight with a girl I had been dating on and off. That fight, like most of ours, consisted of long diatribes filled with meaningless platitudes and then ended with some emotional gushing as if we had truly reconciled something. It felt good to have these fights. They provided the semblance of moving forward (“Relationships are like sharks …”). This fight in particular was a big one, so afterward we felt like we had made serious progress. On the anniversary of my grandfather’s death, we fought again: same girl, same fight. I said I wanted to spend more time together. She said she did too, but didn’t want to “predefine” things. I said I was confused. She said things were getting out of hand. And in a last ditch effort to save the relationship, I told her I loved her. Even as I said it, I knew it wasn’t true. In the past though, it had worked. Nobody I knew thought this was a healthy relationship. Over the nearly two years of being on and off, it invariably fostered in me a sense of depression and paranoia. But for months I let it fester, always imagining a better future. On Tuesday, I realized that the only thing that had changed was the date. Most of what I knew about this girl hadn’t developed since we’d met. Most of what we said to each other was the same. Even the jokes I told, mostly the same. 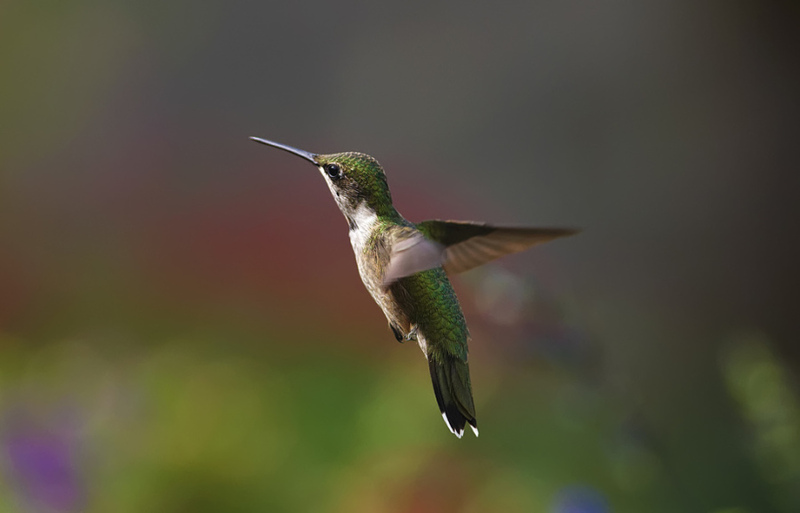 I once read that hummingbirds must flit their wings over 200 times a second just to stay still. A lot of motion with no movement. Like anniversaries, anchored in place, they gently remind that time passes all the while. Just humming along.